San Camp – the younger sister of Jack’s Camp – must be one of the most stunning and remote safari camps in Africa. Louisa from our Africa team, shares her memories of San Camp and her excitement at its recent rebirth. 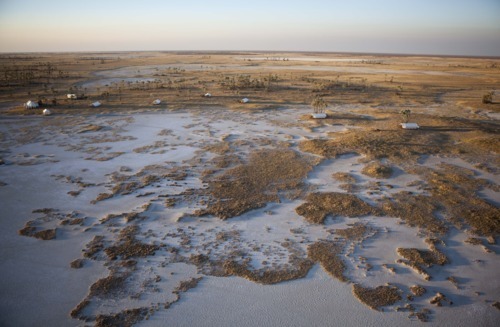 Overlooking the vast white expanse of the Makgadikgadi Salt Pans in Botswana, San Camp is back – and even better than ever – after reopening in August following a complete rebuild. The new look camp features just six romantic white tents each individually furnished with beautiful antiques and four-poster beds. 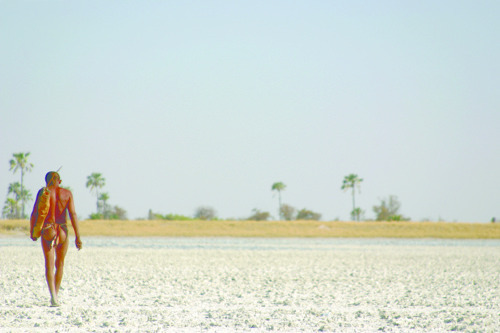 There is also a yoga pavillion where guests can be inspired overlooking the vast open salt pan. I had some of my most memorable days in Africa here. My favorite experience was quad biking over the empty salt pans, before stopping to lie down as the sun set to watch the stars come to life in the huge African sky. The silence out on the pans was deafening. The following morning, we waited by a meerkat burrow to watch them wake up, sunbathe to warm themselves before moving off to dig for grubs. 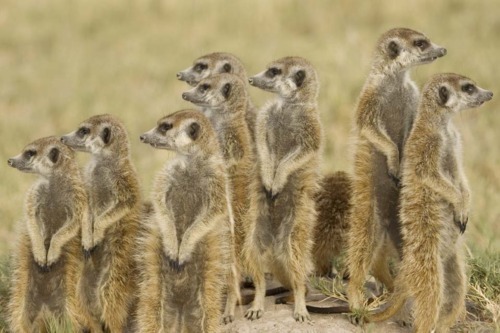 Meerkats are such inquisitive little animals. At one point a few actually climbed onto me in order to get the best possible vantage point to spot predators! I am still today in awe of the San Bushman I met during my stay there. We went on a fascinating walk where he explained how they live in such an arid and hostile environment, hunting and gathering, as they have for thousands of years. I would highly recommend all guests staying at San Camp experience this eye-opening walk for themselves. 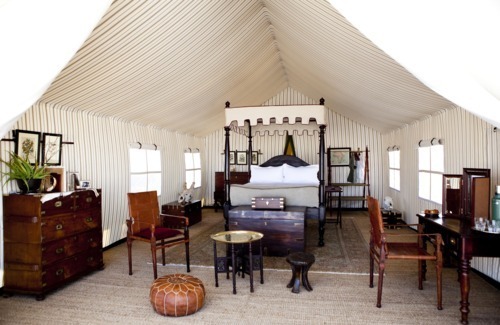 For more information on San Camp and luxury vacations to Botswana contact our Africa specialists on 020 8682 5470.